This page features events related to the artists of A Realist View and their artwork. If you have knowledge of a function that will feature the work of any of these artists, or anything else pertinent to their careers, please feel free to email me about it, at dave (at) theviewfromheredoc (dot) com, and/or post a link on the Facebook page. Thanks. 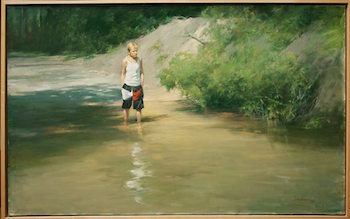 Marchs 22, 2018 Today Burt Silverman announced that his painting Alabama Spring was accepted by the Smithsonian American Art Museum as part of their permanent collection. 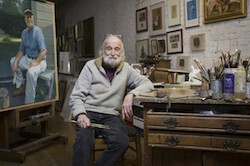 February 27, 2018 Today Our Town published a story about the Harvey Dinnerstein's New York show at the Gerald Peters Gallery, and you can find that article here. 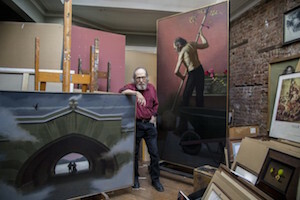 February 16, 2018 Today the Gerald Peters Gallery debuted Harvey Dinnerstein's New York and this retrospective of Harvey's New York imagery will run through March 16th. You can find the details about the gallery and the show here or by clicking on the image. September 13, 2017 Today Savvy Painter featured Part 2 of a 2-part podcast interview with Burt Silverman and you can find that podcast here. August 31, 2017 Today a website called Savvy Painter featured Part 1 of a 2-part podcast interview with Burt Silverman and you can find that podcast here. 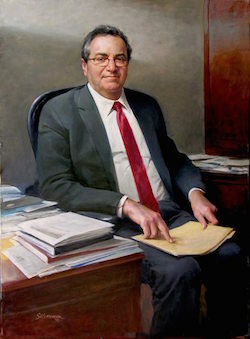 July 21, 2017 Today The Epoch Times published an article sketching Harvey Dinnerstein's artistic career, both past and present, mentioning his recent works shown at the Gerald Peters Gallery in May and June, and also his 1956 visit to the Montgomery, AL, bus boycott, plus some other significant milestones. You can read the article by clicking here or by clicking on the image. June 6, 2017 Today The Park Slope Press published an article about the Harvey Dinnerstein paintings in the Gerald Peters Gallery show called American Realism: A Study which will run through June 16. You can read the article by clicking here or by clicking on the image. 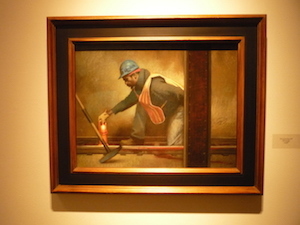 May 18, 2017 Today The Gerald Peters Gallery debuted a show called American Realism: A Study which includes 2 Harvey Dinnerstein paintings. 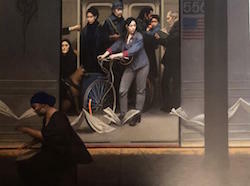 Both works depict scenes from the NYC MTA, which is one of Harvey's favorite subjects (as anyone who has seen his 2008 book Underground Together will immediately understand). The gallery show will run through June 16, and if you click here you can see Harvey's Underground Drum Beat as well as finding all of the relevant information about the show. 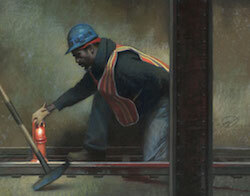 Harvey's other painting in the show, called Blood on the Tracks, is an oblique tribute to an MTA worker that Dinnerstein had known personally. If you'd like to know more about Harvey's book, click here to watch a YouTube video about it. April 3, 2017 Today Burt Silverman announced that he will conduct an exclusive workshop in September. Anyone interested in participating can find links and information on Burt's Facebook page here. January 18, 2017 Today The Epoch Times published an enlightening article entitled The Spark and Wisdom of Artist Burt Silverman which includes a few fine examples of his artwork. You can find that article here or by clicking on the image. 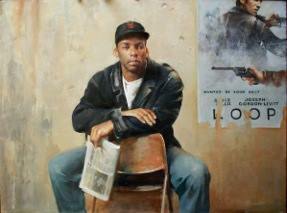 November 18, 2016 Today Burt Silverman announced the recent acquisition by The New Britain Museum in CT of this 2013 painting which he completed shortly before the shooting death of Trayvon Martin, and which he feels encapsulates a serious and contentious ongoing issue in American society. October 1, 2016 Today Burt Silverman gifted an illustration called Who Am I? to Norman Rockwell Museum in Stockbridge, MA. The illustration was one of Burt's first, and appeared in the magazine Redbook accompanying a fictional story during the 1960s. 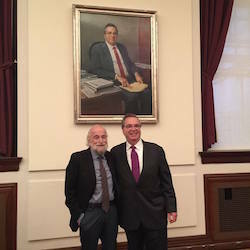 September 28, 2016 Today Burt Silverman's portrait honoring retired Dean Dr. Jeffrey Flier was unveiled at the Harvard Medical School. Along with speeches by acting Dean Barbara McNeill and 3 of Dr. Flier's colleagues, Burt shared a few insights about the art of making portraits. Other events of note: The world of realist art lost a major talent when Aaron Shikler died on 11/12/15. Family members, friends and admirers attended a memorial in his honor at The Century Association on 43rd St. in Manhattan on 1/19/16. 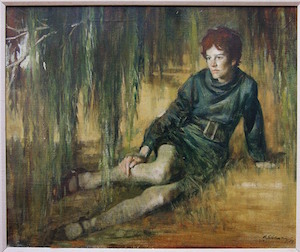 Earlier in 2015, among the offerings at the auction from Lauren Bacall's estate was a profile sketch of her that Aaron did in 1954. You can see the sketch by visiting the New York Post page about the auction here and scrolling down about two-thirds of the way to the bottom of the page. And what does the 2015 film Bridge of Spies have to do with the group of artists on the rooftop? Before his arrest, many of the artists knew the Russian spy called Rudolf Abel in BoS by a different name, as a colleague who rented a studio in the small building where some of them also rented studio space. You can find out more about their associations with him by visiting the Emil page, and even more by actually watching The View from Here.